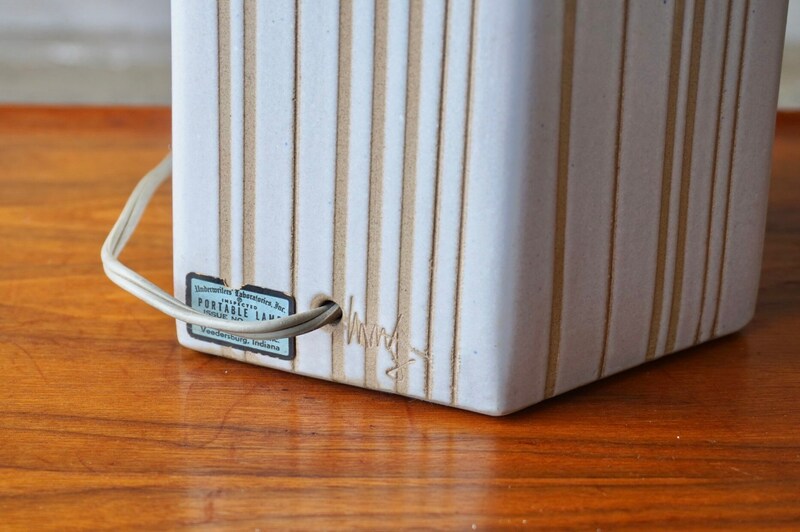 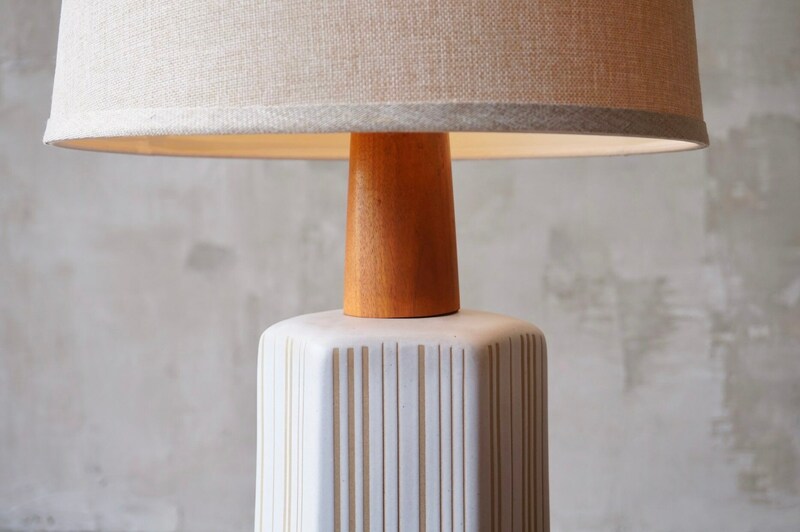 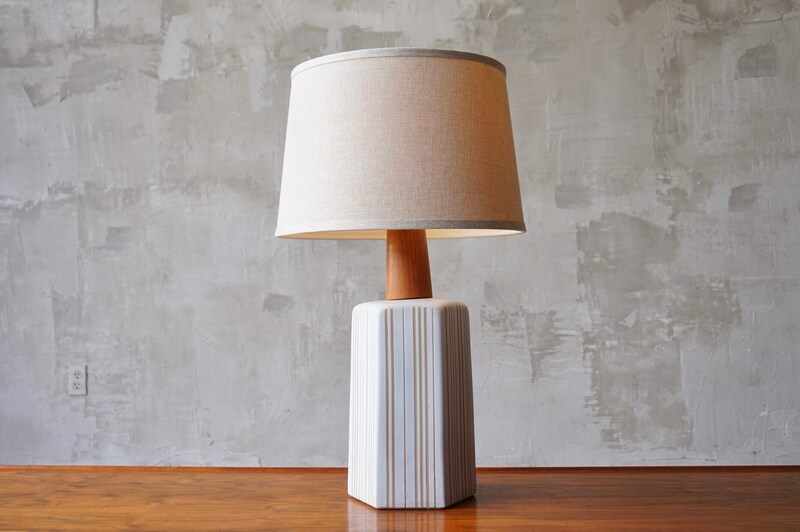 Matte white glazed ceramic table lamp with hand applied vertical incisions by American ceramics duo Jane and Gordon Martz for Marshall Studios, c. 1960s. 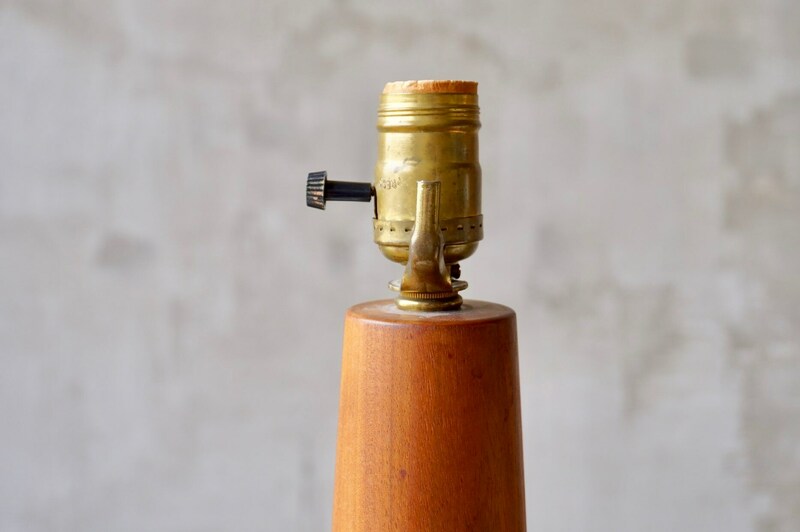 Original finial and harp included, shade is not. 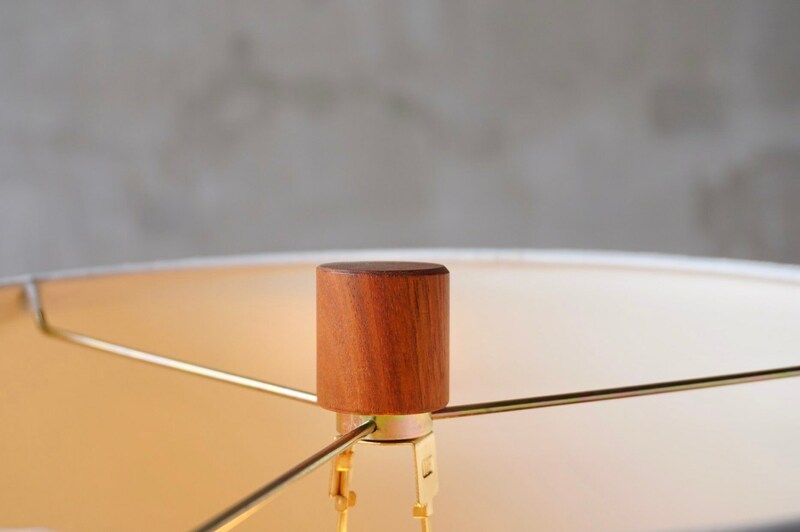 Measures 18”H to bulb base with a max base diameter of approximately 7”.